Façades and building envelopes – which form the outer skins of buildings – project image and creative intent. Increasingly, they are also understood as important environmental moderators and key influencers in project risk and commercial success. A thoughtfully designed skin can make a new building work more effectively for its owners, occupants and environment. It can also transform the performance of an existing building. AFS synthesise each facet of value. Our approach is based on ingenuity: it is performance and business focused – in other words, we do more for less. Everything we do, from concept design to implementation and renovation, is design-led and underpinned by technical rigour. 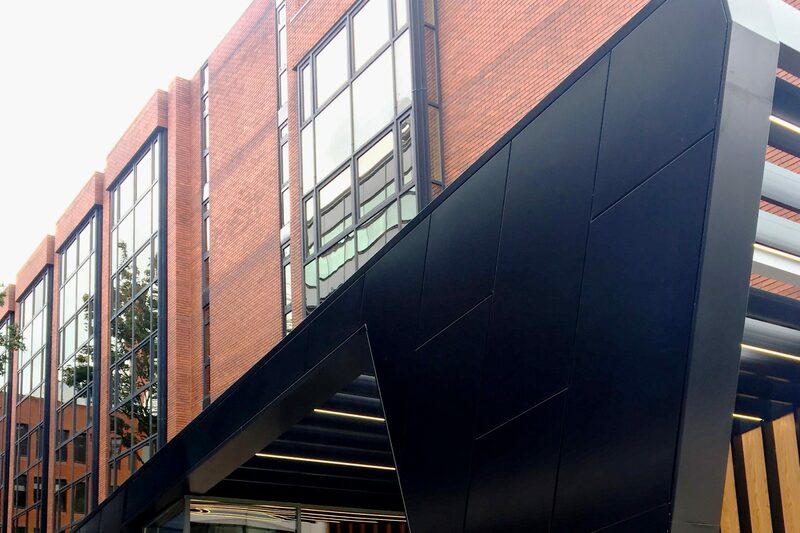 AFS Limited designs, manufactures, supplies and installs innovative modern façade solutions. We work across all construction markets, including commercial, industrial, public sector and residential. From the initial concept through to installation, our team work with architects, managers and technical crews to ensure we are on hand to help with the details at every step. This not only shows in impressive visual results, but ensures targets and timings are kept on track. The range of materials available today allows us infinite design possibilities. We provide systems that perform around engineering constraints and hold up in all-weather conditions. We have an exceptional budgeting team that work closely with our supply chain partner’s so we can pass on the best price to our clients. Our aim is to offer a complete resolution that aids the modern contractor. We work with a significant number of partners. The quality of this supply chain adds another dimension to what we can achieve. Our partners’ offerings and products inspire us at the design stage, grounded in the knowledge they will have the expertise to help at the construction stage. © 2019 Architectural Facade Solutions.